I was living with undiagnosed post-traumatic stress disorder (PTSD) and alcohol worked to calm symptoms like hyperarousal and insomnia. I credit psychological intervention for pushing me into recovery from alcoholism. Addiction is a mental illness, but is it one that needs to be treated before anything else? Or should we be stopping people from hitting their addiction bottom and helping them recover from their comorbid conditions concurrently? Before we can discuss treatment, we need to understand what addiction is and how it is defined. The two major guidelines for diagnosing mental health conditions around the world are the DSM and the ICD. The DSM (Diagnostic and Statistical Manual of Mental Disorders) is the standard diagnostic tool for mental health conditions in the United States and often used in North America. The ICD (International Classification of Diseases) is endorsed by the World Health Organization and often used in Europe. In the DSM-5, substance abuse and substance dependence are combined under the same name of substance use disorder, which is diagnosed on a continuum. Each substance has its own sub-category, but behavioral addiction is also in the DSM-5, with gambling disorder listed as a diagnosable condition. Other similar entries, such as internet gaming disorder, are listed as needing further research before being formally added as a diagnosis. In the ICD-11 there is a subset of mood disorders called “substance-induced mood disorders,” which are conditions caused by substance use. To qualify for this category, one must not have experienced the mood disorder symptoms prior to substance use. Hypothetically, a person who has alcohol-induced mood disorder might find health with abstinence alone, but substance use disorders do not occur in a vacuum and no one can go through the experience of addiction without it altering their mind and body, sometimes irreversibly. With enough time, substance-induced disorders change the function of the brain and alter emotion regulation. That doesn’t mean that addiction will cause another mental disorder; addiction is a mental disorder. Not everyone with an addiction is concurrently experiencing another mental disorder. Substance use can alter behaviors, moods, and personalities so severely for people who are addicted that without specialized knowledge and experience, it’s difficult to determine what, if any, underlying cause is responsible for the changes. Drugs, even those that are prescribed and used as directed, can have side effects that seem to mimic the symptoms of other diagnosable conditions. These effects can also appear if a person is in withdrawal. Because of this inability to isolate co-occurring conditions, there was a time when it was popular for doctors and clinicians to first treat substance use disorders before exploring the possibility of other mental illnesses. That is no longer considered the best approach to care. I started therapy before I could realize my excessive drinking was actually alcoholism. I was riddled with anxiety and constantly on edge. I lied compulsively about the most unnecessary and mundane things. My partner helped me start therapy, calling the first point of contact for me and taking me to my first two appointments, and then patiently waiting outside for me. He wasn’t enabling me by keeping me from hitting bottom, he was supporting me and protecting me in a loving way; in a way that worked. In the early days of therapy, my psychologist gently guided me towards recognizing my alcohol use as problematic. My therapist convinced me to go to a psychiatrist who started me on antidepressants and gave me anti-anxiety medication to use when needed. My treatment was moving forward, but I was still drinking. I spent most therapy sessions crying, but my ability to live day to day was slowly changing. I was Googling local 12-step meetings while hungover and then deleting my search history while drinking. I was taking my medications but still getting drunk on the regular. I had to do some work on my crippling anxiety and debilitating depression to get to the point that I could even fathom walking into a new space with new people. I drank because alcohol made it easier to have fun and to talk to people. I was living with undiagnosed post-traumatic stress disorder (PTSD) and alcohol worked to calm symptoms like hyperarousal and insomnia. I was using alcohol to cope with issues that my shame wanted to keep buried and my therapy wanted to draw forth. It took nearly nine months of therapy before I quit drinking. Once I was able to cross that threshold, things really began to change for me. My medication was able to work as intended because I wasn’t combining it with other mood-altering substances, and my therapeutic work could go deeper because I wasn’t self-medicating with alcohol. I gained tools to manage my mental health challenges. My alcoholism treatment has gone so well because I have concurrently received care for my comorbid conditions. How many times have you heard the adage: “You have to let an addict hit bottom”? If you take a seat in any 12-step recovery meeting, you’ll likely hear someone speaking about their own experience hitting bottom. The idea is that one must reach a point of complete and utter desperation before being able to start recovery. Being desperate enough to change because your life is wretchedly entwined with addiction makes for a good story, but waiting to fall into such desperation doesn’t make for a solid treatment plan. The evidence base supports this view, but people don’t necessarily believe it. Generally, public views about drug addiction are incongruent with current medical knowledge on the disease. A 2014 study that surveyed over 700 adults across the country found that the majority of Americans hold stigmatized views. 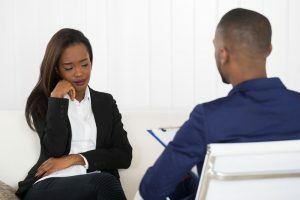 Forty-three percent of those surveyed said they oppose giving people with drug addiction equivalent insurance benefits compared to 21 percent who believe the same about those with mental illness. Half of all respondents were against increased government spending for treatment of drug addiction, compared to 33 percent for mental illness. About a third of folks don’t believe recovery is even possible for someone with either a drug addiction or a mental illness. And the number of people who believe that treatment options are not effective? Fifty-nine percent for drug addiction and 41 percent for mental illness. These public opinions have real world consequences. They translate into low support for policies that could provide equal insurance coverage and policies that could allocate government funds into public health programs to improve the success rate of (and access to) evidence-based treatment. Drug addiction or substance use disorder (SUD) is a mental illness, but in the United States it’s treated as distinct from mental illness as a whole. One thing is undeniable: people with real or perceived substance use and/or mental disorders face discrimination and an uphill battle to a healthier life. Everyone is different, and different treatment plans will have different outcomes for different people. Relying on one method of recovery for all people is irresponsible, illogical, and ineffective.